If you are searching for a great book to take to the beach or curl up at home with on a rainy day, this is a good choice. Here's my review. As war engulfs Europe, 1,500 passengers risk everything to find a brighter future. 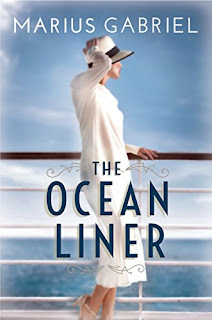 Cousins Masha and Rachel Morgenstern board the luxury liner the SS Manhattan bound for New York, desperate to escape the concentration camps that claimed the rest of their family. America offers a safe haven, but to reach it they must survive a hazardous Atlantic crossing. But, under the waves, the Manhattan is being stalked by a German U-boat. Will any of those aboard the ocean liner ever achieve their dream of a new life in America? This is the fourth novel I’ve read by Marius Gabriel and I have enjoyed all of them. In this story, he takes us on a journey across the ocean on the luxury liner, the SS Manhattan, on its way to America with an interesting cast of characters who are both real and imagined. We meet cousins Masha and Rachel, escaping Nazi Germany, hoping for a better life. There is also a famous conductor, a renowned composer, Rose Kennedy and her children, including young Ted, and an aging film star, plus so many more. They each have a story, and Gabriel manages to weave each character’s tale into one magnificent novel. Intriguing and beautifully written. You will not want to put this story down. Marius Gabriel served his author apprenticeship while a student in the north of England. To finance his postgraduate research, he wrote 33 steamy romances under a female pseudonym. His identity as a man had to be kept secret until he turned to longer fiction under his own name. 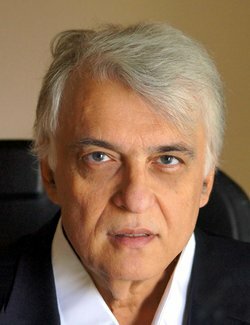 He is the author of 9 historical novels, including the best-sellers "The Mask Of Time," "The Original Sin" and "The Seventh Moon." Cosmopolitan accused him of "keeping you reading while your dinner burns." He very seldom burns his own, being an enthusiastic cook, as well as an artist and a musician. He has three grown-up children. His recent novel, "The Designer" (2017) is set in Paris, and begins in 1944 with the chance meeting between an American war correspondent and an unknown fashion designer named Christian Dior. Shortlisted for an RNA Romantic Novel of The Year Award. 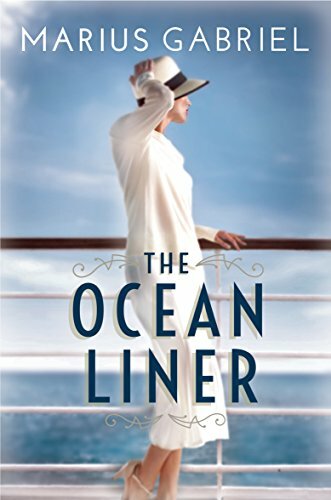 His latest novel, out in March 2018, is "The Ocean Liner," set on a luxury ocean liner making the perilous crossing between Europe and the United States in the first weeks of World War II.